Cravings for sweets can be greatly reduced by adding sweet vegetables, such as sweet potatoes, yams, parsnips, beets, squash, turnips and rutabagas to your daily diet. Sweet potatoes elevate blood sugar gently rather than with the jolt delivered by simple refined carbohydrates, so there’s no energy crash after you eat them. This makes them an ideal vegetable or side dish for diabetics! Much higher in nutrients than white potatoes and especially rich in vitamin A, sweet potatoes offer a creamy consistency that is satisfying and soothing. 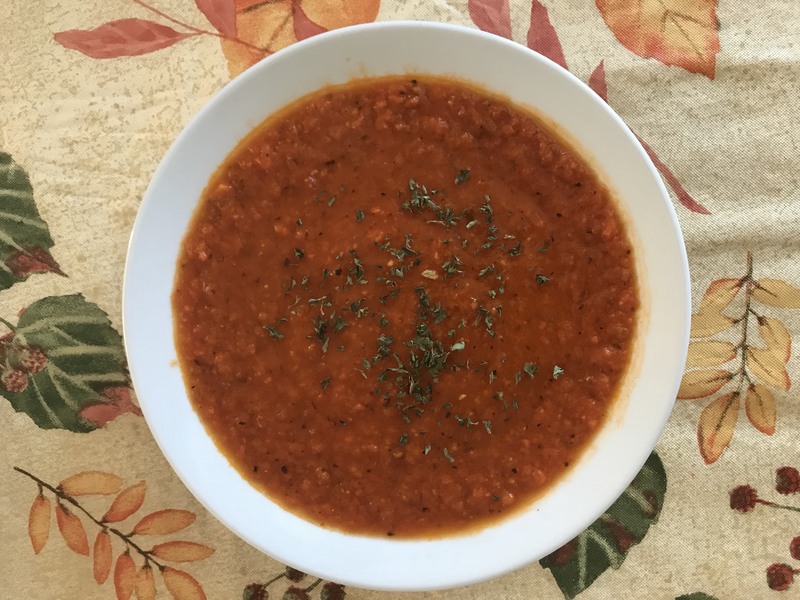 This recipe is an eye-opener for those who find sweet potatoes sweet or those who are tired of eating them smothered in marshmallows and brown sugar (NOT healthy!!) . Japanese sweet potatoes, with their pale flesh and delicate flavor, are a treat if you can find them. Wash the sweet potatoes and bake them whole, in their skins, at 375 degrees until tender, about 40 minutes. Wash and chop cilantro leaves. 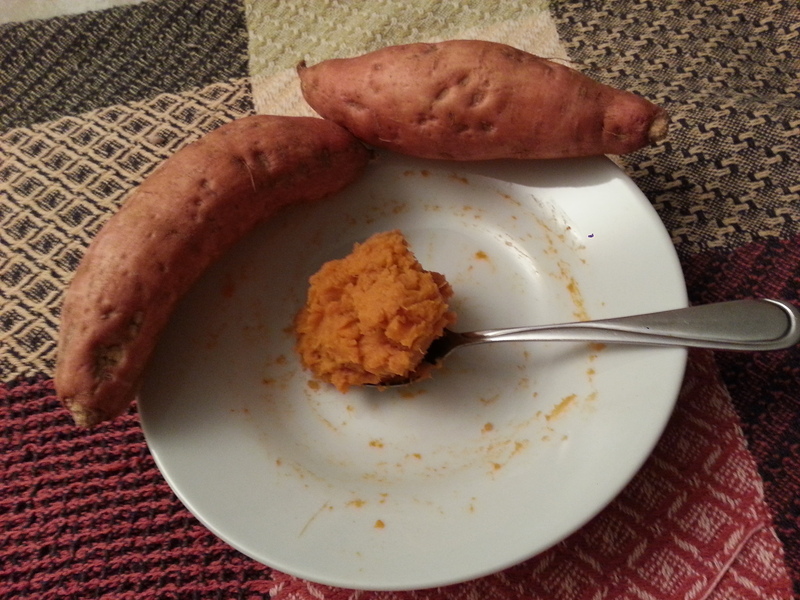 When sweet potatoes are done, slit open the skin and place on serving plate. Season with salt and dots of butter or a sprinkle of oil, if you like, then squeeze fresh lime juice all over, and shower with cilantro leaves. 2. Place the diced turnip, acorn and butternut squash in a large baking tray. 3. Cover with 1-2 tbs. of grapeseed oil, mix until coated and top with sea salt and pepper. 4. Bake for 20-30 minutes, checking and turning over halfway through. When the veggies are baked, place them in a large bowl and add all of the other ingredients, mix well making sure everything is coated with the fresh olive oil. 5. Add sea salt, gomasio and pepper to taste and serve warm. 1. Put the flour, pumpkin seeds, and salt into food processor with fitted metal blade. Process until pumpkin seeds are finely ground. 2. Add the butter and pulse until mixture resembles coarse meal. 3. Add maple syrup, vinegar & cold water and pulse until mixture clumps. 4. Roll into ball and flatten on parchment paper pressing into a large flat circle and chill until firm, about 30 minutes. 5. Preheat oven to 400°. 6. On lightly floured board, roll dough into a 12″ circle and transfer to 10″ pie plate pressing into bottom and up sides. Finish edges. Prick with fork in several places. Line with parchment paper or foil and weight with dried beans or rice. Place in oven for about 10 – 12 minutes. Remove from oven and let cool. Lift parchment or foil and weights and remove them from baked shell. Set aside. 7. Reduce oven temperature to 350°. 1. In mixing bowl, place egg, pumpkin, milk, maple syrup or agave, cinnamon, nutmeg, allspice, salt, and vanilla. 3. Pour into baked pie shell. 4. Bake until filling doesn’t jiggle. About 35 – 45 minutes. Set pie on rack. 5. Serve room temperature or chilled with whipped cream and whole pumpkin seeds if desired. Preheat the oven to 375°F. Heat the oil in a large pot over medium heat. Add the onion. Cover and cook until softened, 5 minutes. Stir in 1 tablespoon of the curry powder and the pumpkin puree, then whisk in the broth until smooth. Add 2 tablespoons of the maple syrup and season to taste with salt and pepper. Simmer for 10 minutes to allow flavors to develop, stirring occasionally. While the soup is simmering, make the curried pecans. In a small bowl, combine the pecan pieces with the remaining maple syrup and toss to coat. Sprinkle with the remaining curry powder, tossing to coat. Place the pecans in a small baking dish and bake until toasted, about 10 minutes. Set aside to cool. Meanwhile, use an immersion blender to puree the soup right in the pot. Otherwise, transfer the soup to a blender or food processor and puree until smooth. Stir back into the pot. Return the soup to the stovetop, turning the heat to low. Whisk in the coconut milk, taste to adjust seasonings. Heat until hot, do not boil. Serve the soup garnished with the pecans.